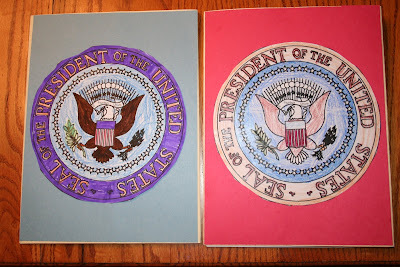 We're putting together a hodge-podge of a lapbook for President's Day. This will actually end up being a double lapbook (two folders put together). I've found some of the lapbook activities on Homeschool Share and also found other activities from Enchanted Learning.